Maria Isabel Achatz is principal investigator at the Clinical Genetics Branch, Division of Epidemiology and Genetics, National Cancer Institute, National Institutes of Health, USA. 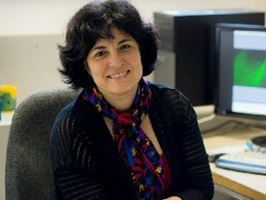 She is Principal Investigator of the Li-Fraumeni Syndrome Exploration (LiFE) Consortium. She has worked as a panel expert on the TP53 gene at Clinical Genome Resource (ClinGen) and at the pediatric hereditary cancer group at the American Association of Cancer Research (AACR) and. Her current research program at the National Cancer Institute is based predominantly on Li-Fraumeni syndrome, where she took the lead as a PI of the NIH Li-Fraumeni Syndrome Protocol, and in population studies on hereditary predisposing cancer syndromes. 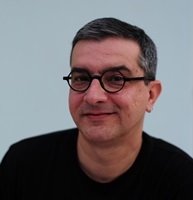 Antonis Antoniou is currently Professor of Cancer Risk Prediction and Academic Course Director for the MPhil in Epidemiology at the University of Cambridge, Department of Public Health and Primary Care. Dr. Jennifer Blake is Chief Executive Officer of the Society of Obstetricians and Gynaecologists of Canada (SOGC), which is a leading authority on women’s sexual and reproductive health representing thousands of specialists across the country. She is an experienced physician and respected leader who has facilitated major organizational change in both hospital and academic sectors. During her 30-year medical career, Dr. Blake has held several clinical, academic and leadership roles, including Chief of obstetrics and gynaecology and Head of women’s health at the Sunnybrook Health Sciences Centre, Chief of pediatric gynaecology at the Hospital for Sick Children in Toronto and Undergraduate Dean of McMaster University’s medical school. She has also served as professor and associate chair at the University of Toronto, as well as head of pediatric gynaecology for the school. She is Adjunct Professor at the University of Ottawa. Dr. Blake brings a national perspective to her work from her experience with the SOGC, the Medical Council of Canada, the Royal College of Physicians and Surgeons of Canada, the Association of Academic Professionals in Obstetrics and Gynaecology of Canada, and the Canadian Foundation for Women’s Health. In 2013, Dr. Jennifer Blake was awarded a Fellowship Honoris Causa by the Royal College of Obstetricians and Gynaecologists (UK). Dr. Blake received this prestigious honour for her work as a passionate advocate and trusted spokeswoman on issues relating to women’s health. She is also a member of International Editorial Board of The Global Library of Women’s Medicine (GLOWM). Dr. Blake has a Bachelor of Science from the University of Waterloo, and from McMaster University a medical degree and a Master’s in health research methodology. In 2011, Dr. Blake was identified as one of the top 25 women of influence in Canada. Adam Buchanan is a certified genetic counselor and assistant professor in the Geisinger Health System Genomic Medicine Institute. He received his master’s in public health, with a focus in health behavior and health education, at the University of North Carolina in Chapel Hill, and master’s in science in genetic counseling at the University of North Carolina in Greensboro. 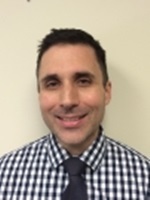 His research focuses on assessing the effectiveness of alternate service delivery models for improving access to genomic services, clinical outcomes of genetic counseling, and clinical utility of genomic screening in unselected populations. Ian Campbell is co-Head of the Cancer Genomics and Genetics Program at the Peter MacCallum Cancer Centre and Professor in the Sir Peter MacCallum Department of Oncology at the University of Melbourne, Australia. A major component of Professor Campbell’s research is the discovery of new familial breast and ovarian cancer predisposition genes through large scale sequencing approaches. Professor Campbell has also made a contributions to the understanding of the etiology of ovarian cancer and continues to lead studies of the somatic molecular landscape of breast and ovarian cancer precursor lesions. He is also the lead investigator of Lifepool, which is a cohort of women attending Breast Screening services http://www.lifepool.org that combines health and lifestyle information, mammographic density data, genetic data and health linkage data from over 54,000 women. Dr. Devilee has over 30 years of experience in cancer genetics, including somatic genetics of tumors and the genetics of familial clustering of cancer, primarily breast and colorectal cancer, and paragangliomas. 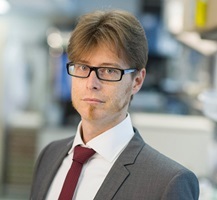 Since 2003, he is a professor of Tumor Genetics at the Leiden University Medical Center (Department of Human Genetics and the Department of Pathology). In the late nineties, he was coordinator of the worldwide Breast Cancer Linkage Consortium, which made significant contributions to the understanding of the genetics of hereditary breast cancer. In 1995, he was co-discoverer of the BRCA2 gene, and in 2000, of the gene-defect underlying hereditary paragangliomas. Nationally, he translated these discoveries into the diagnostic arena by developing rapid mutation scanning methods, and unraveling the BRCA1/2 mutation spectrum and genetic heterogeneity of hereditary breast cancer in the Netherlands. Current work includes searches for new breast cancer susceptibility genes in selected families and patient populations, studies directed towards understanding the polygenic nature of cancer susceptibility and the pathogenicity of unclassified variants in the BRCA1/2 genes. Since 2015, he is coordinating an EU consortium effort to introduce individualised comprehensive risk assessment for breast cancer in the family cancer clinic. Mary L. Gemignani, MD, MPH, is an Attending Surgeon and a Member ofthe Breast Surgica l Service at Memorial Sloan Kettering Cancer Center (MSKCC) in New York as well as an Associate Professor of Surgery, Weill Cornell Medical College. Dr. Gemignani is dual trained as a breast surgeon and as a gynecologic oncologist and specializes in the diagnosis and surgical treatment of breast cancer. She is currently the Director of the Breast Fellowship program at Memorial Sloan-Kettering Cancer Center and responsible for the educational training program for a highly selected group of surgeons choosing to specia lize in breast surgery. Dr. Hurley, licensed clinical psychologist at the Cleveland Clinic, has specialized for twenty years in hereditary cancer risk. After completing her A.B. 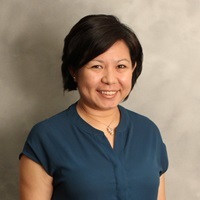 at Bryn Mawr College, Ph.D. at Temple University, and postdoctoral fellowship at the Mount Sinai School of Medicine, she conducted NCI-funded research funded on surgical decision-making at Memorial Sloan-Kettering. She continued in private practice in Manhattan and taught graduate psychology at TC-Columbia University. She frequently presents for national/international audiences and is on the national advisory boards for FORCE, Bright Pink, Sharsheret, and the Cancer Support Community. In 2014, she received FORCE’s Spirit of Empowerment Award for Individual Commitment. 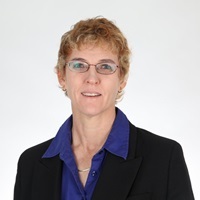 Bartha Maria Knoppers, PhD (Comparative Medical Law), is a Full Professor, Canada Research Chair in Law and Medicine and Director of the Centre of Genomics and Policy of the Faculty of Medicine at McGill University. 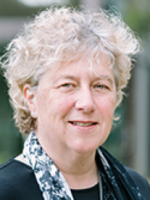 She is the Chair of the Ethics and Governance Committee of the International Cancer Genome Consortium (2009- ), and Co-Chair of the Regulatory and Ethics Working Group of the Global Alliance for Genomics and Health. Dr. Kotsopoulos directs a wide-range of research initiatives to further our understanding of BRCA-associated breast and ovarian cancer, with the goal of identifying viable, evidence-based strategies that confer substantial risk reduction and improve outcomes. Her studies have demonstrated an important role of hormonal, reproductive and modifiable exposures on BRCA-associated cancer development. This critical work has provided women and healthcare providers with evidence-based management options while contributing to our understanding of the pathogenesis of hereditary cancer. Mercy Laurino is a certified and licensed genetic counselor. She received her MS degree in genetic counseling from the University of Colorado Health Sciences Center and her PhD in Public Health Genetics at the University of Washington. Since 2009, she has collaborated with the local medical geneticists in the Philippines to successfully launch a master's degree program in genetic counseling at the University of the Philippines Manila. Dr. Laurino is founding president of the Professional Society of Genetic Counselors in Asia, committed to partnering with local healthcare providers in developing countries to establish and/or enhance their genetic counseling training programs. In 2016, she was the recipient of the National Society of Genetic Counselors' International Leader Award. She manages the Cancer Prevention Programs, Living Tobacco-Free and Genetic Counseling services at the Seattle Cancer Care Alliance. Dr. Levy-Lahad is Professor of Internal Medicine and Medical Genetics at Hebrew University and Director of the Medical Genetics Institute at Shaare Zedek Medical Center in Jerusalem. Since 1996, she has been Director of the Medical Genetics Institute and senior physician in the Department of Medicine at Shaare Zedek Medical Center. She holds a faculty appointment as Professor in Medicine and Genetics at the Hebrew University-Hadassah Medical School in Jerusalem. Her clinical laboratory includes cancer genetics diagnostics and a large pre-implantation diagnosis service. Her research laboratory focuses on population genetics of breast and ovarian cancer, in particular the BRCA1 and BRCA2 genes. She is active in bioethical aspects of genetic research, and is currently co-Chair of the Israel National Bioethics Council. She is a member of Israel's National Council for Women's Health and the National Council for Gyncology, Perinatal Medicine and Genetics. Internationally, she was a member of UNESCO's IBC (International Bioethics Committee) (2006-2009). Dr. Madlensky has provided cancer genetic counseling services for over 20 years. She has practiced in the United States and Canada, and was a founding member of the Familial Cancer Risk group of the National Society of Genetic Counselors (NSGC), establishing cancer genetic counseling as a sub-specialty. Clinical research themes include clinical genetic testing and follow-up for families with familial cancer risk, the public health implications of cancer genetic testing, quality of life in those at increased risk of cancer, the integration of cancer risk assessment into family practice, and family-level cancer prevention. She also studies the impact of direct-to-consumer genetic testing and the relationship between germline and somatic mutations in cancer. Wendy McKinnon is a certified genetic counselor who specializes in genetic counseling and testing for familial cancer. She is the coordinator for the Familial Cancer Program at the University of Vermont Cancer Center, where she has worked since graduating from the University of Michigan’s genetic counseling program. She has been in the field of cancer genetic counseling since its inception and has been involved in publishing guidelines for practice, as well as involved in a number of research studies related to the field. Dr. Monteiro is a Senior Member and Professor at Moffitt Cancer Center. He directs the Laboratory of Cancer Genetics and Genomics and is the Scientific Director of the Moffitt Molecular Genomics Shared Facility. His laboratory focuses on applied (genetic testing and risk assessment) and fundamental (functional analysis and genomics) aspects of cancer. He is also a member of the ENIGMA (Evidence-based Network for the Interpretation of Germline Mutant Alleles) consortium. AMIT OZA MBBS, MD, FRCPC is Head of the Department of Medical Oncology & Hematology, and Medical Director of the Cancer Clinical Research Unit at Princess Margaret Cancer Centre (PM). He is also co-Director of the Drug Development Program at PM, Scientist at the Ontario Cancer Institute, and Professor of Medicine at University of Toronto. Dr. Oza has been PI and co-investigator in >100 phase I, II and III trials for gynecological cancer and advanced colorectal malignancies. Under his direction, the gynecology group is one of the largest ovarian cancer (OC) clinical trials groups consistently accruing >30% of all patients seen onto clinical trials (>120/yr) at PM. Since 2011, he has obtained >$26.9M in peer-reviewed funding and has published >250 articles (all types) including the New England Journal of Medicine (IF=53); Lancet Oncology (IF=16), and Journal of Clinical Oncology (IF=16.4). C. Bethan Powell MD is the Regional Lead of the Hereditary Cancer Risk Program in Kaiser Permanente Northern California, a network of 6 centers distributed throughout the northern state. Kaiser Permanente is a large integrated health care system caring for approximately 8 million members. Jorge S. Reis-Filho, MD PhD FRCPath, holds a joint medical degree from University of Porto, Portugal and Universidade Federal do Parana, Brazil. After finishing his histopathology training at the Institute of Molecular Pathology and Immunology, University of Porto, Portugal, he did his PhD on breast cancer molecular pathology at the Breakthrough Research Centre where he was appointed Team Leader of the Molecular Pathology Laboratory in 2006. In 2007, Dr Reis-Filho was awarded the CL Oakley Lectureship by the Pathological Society of Great Britain and Ireland and the BACR Translational Research Award. In 2010, Dr Reis-Filho was awarded the 2010 Ramzi Cotran Young Investigator Award by the United States and Canadian Academy of Pathology and the Future Leaders Prize by Cancer Research UK. Dr Reis-Filho is the youngest ever Fellow of The Royal College of Pathologists to have become a member by published works. In 2012, Professor Reis-Filho took the position of Member at the Department of Pathology and Affiliate Member of the Human Oncology and Pathogenesis Program at Memorial Sloan Kettering Cancer Center in New York, USA, and in 2016, he was appointed Director of Experimental Pathology. 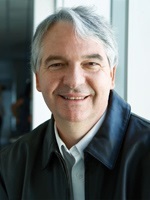 Dr. Reis-Filho has published over 430 peer reviewed articles, is an associate editor of the Journal of the National Cancer Institute and the Journal of Pathology, a senior scientific advisor for Science Translational Medicine, an international advisor for The Lancet Oncology and a member of the editorial board of Genome Biology. Dr. Reis-Filho’s research interests are in the development of a predictive breast cancer classification system based on the oncogenic drivers of special histologic types of breast and salivary gland cancers, and in the understanding of the causes and impact of intra-tumor genetic heterogeneity in cancers. His group has approached these aims using a combination of traditional pathology approaches with high-throughput genomics methods. 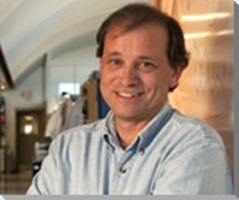 He has led projects that resulted in the development of novel single cell sequencing methods that can be applied to formalin-fixed paraffin-embedded samples, and has employed these methods to investigate the impact of intra-tumor genetic heterogeneity in the progression from in situ to invasive breast cancer. His team is also exploring circulating cell-free plasma DNA and cell-free cerebrospinal fluid DNA sequencing approaches as biomarkers for disease monitoring and as a means to combat the challenges posed by intra-tumor genetic heterogeneity. Dr. Robson graduated from the University of Virginia School of Medicine in Charlottesville, Virginia, and did his internal medicine residency and hematology-oncology fellowship training at Walter Reed Army Medical Center in Washington DC. He is currently Chief of the Breast Medicine Service in the Department of Medicine at Memorial Hospital in New York, an attending physician on Clinical Genetics Service, and a member of the Memorial Sloan Kettering Cancer Center. His clinical research has concentrated on the optimal application of germline information to the management of cancer patients, particularly those with breast cancer. He has been a lead investigator for a number of trials of PARP inhibitors in patients with BRCA mutation – associated breast cancer. In addition to developing PARP inhibition as a therapeutic strategy, he is currently developing new models for the acquisition of germline information, including "mainstreaming" through test ordering by primary oncology providers and broad genomic screening in the context of somatic mutational profiling. He serves on the editorial board of the Journal of Clinical Oncology and is an associate editor for the Journal of the National Cancer Institute and Genetics in Medicine. 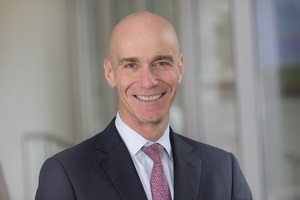 He is also the past chair of the Ethics Committee of the American Society of Clinical Oncology and has served several terms on the ASCO Cancer Prevention Committee and its Cancer Genetics subcommittee. Marjanka K Schmidt obtained her MSc and PhD degree at the Division of Nutrition and Epidemiology, Wageningen University, the Netherlands. Her PhD included a large micronutrient intervention study in semi-rural areas of Indonesia. In 2002, she came to the Netherlands Cancer Institute to work as a postdoc on breast cancer; specifically on the survival of BRCA1/2 and CHEK2 c.1100delC mutation carriers. From 2008-2010 she undertook multiple working visits to the University of Cambridge, UK, and Helsinki University Central Hospital, Finland. From 2010, she was an assistant professor and in October 2015 she became a group leader (associate professor). The research of her group focuses on the role of germline variants in development of genomic subtypes of breast cancer, second cancers, prognosis, and long-term outcome. Dr. Silver’s laboratory is focused on the identification of new oncogenic drivers and the identification of predictive biomarkers of response to therapy in breast cancer. He has training and experience in basic cancer biology, DNA repair, translational science, and clinical oncology. As a fellow, Dr. Silver worked in the laboratory of Dr. David Livingston, where he focused on the role of DNA repair defects in triple negative breast cancer, and the activities of BRCA1 as a tumor suppressor gene. He and his colleagues developed the NTAI biomarker, which is part of the HRD biomarker. Dr. Tischkowitz is a Reader in Medical Genetics at the University of Cambridge and an Honorary Consultant Physician in the East Anglian Medical Genetics Service. He completed his medical degree in 1993 and trained Medical Oncology before completing his specialisation in Medical Genetics. From 1999-2002 he undertook a PhD researching the role of Fanconi anemia gene mutations in the development of sporadic acute myeloid leukaemia. He held a Consultant post at Great Ormond Street Hospital before moving to McGill University, Montreal in 2005 where he worked on Faculty for six years before coming to Cambridge. Much of his research has been on the Fanconi Anemia genes and hereditary breast cancer predisposition but his interests cover all areas of hereditary cancer and at present he is focused on translating the recent advances in genomic technology into clinical practice. 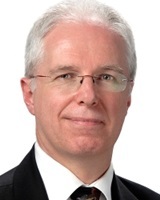 Professor Nicholas Turner is a Consultant Medical Oncologist who specialises in the treatment of breast cancer. Prof Turner read Natural Sciences at Cambridge University before qualifying in 1997 from the University of Oxford Medical School. After completing general medical training in London, he trained in medical oncology at Royal Free and University College Hospitals and completed a PhD at The Institute of Cancer Research (ICR) in 2006. He joined the Breast Unit of The Royal Marsden as a Consultant Medical Oncologist in 2008 . In 2017 he was awarded the title of Professor by the ICR. He is a Team Leader in Molecular Oncology at the Breast Cancer Now Research Centre at the ICR. He is Genotyping , Phenotyping and Cancer Evolution Theme Lead for The Royal Marsden NIHR Biomedical Research Centre, and a member of the NCRI Breast Cancer Clinical Studies Group. He is the Breast Domain Lead of the Genomics England Clinical Interpretation Partnerships . He sits on the organising committees of many international conferences on breast cancer , was the executive chair of the IMPAKT 2015 breast cancer conference , and is a scientific editor of the journal Cancer Discovery . Professor Turner is Chief Investigator of a number of national and international trials of precision therapy in breast cancer. His research interests include the development of new therapies for breast cancer and using liquid biopsies to deliver more precise treatment for breast cancer . 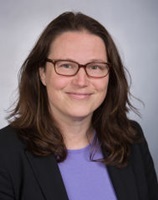 Dr Weigelt is an Assistant Attending Molecular Geneticist and the Director of the Gynecologic Research Laboratory at Memorial Sloan Kettering Cancer Center. Her research focuses on the study of breast and gynecologic cancers and combines pathology techniques with genetic analyses and functional studies to identify biologically relevant subclasses of these cancers and their driving molecular alterations. She also studies the somatic genetics of hereditary breast and gynecologic cancers. Dr Weigelt received her PhD from the Netherlands Cancer Institute/ University of Amsterdam, The Netherlands, and undertook her postdoctoral training at Lawrence Berkeley National Laboratory, Berkeley, USA, and Cancer Research UK London Research Institute, London, UK, before moving to Memorial Sloan Kettering Cancer Center in New York, USA in 2012.